Through the Community Foundation of Abilene, two men were brought together with one common goal, a soup kitchen for the homeless in Abilene. Although Dad was able to discuss his wish with Nancy Jones, CFA President, he was never able to meet Mark Hewitt of Love and Care Ministries, who shared his dream. We know that Dad and Mark would have been great friends! They shared a kindred spirit. 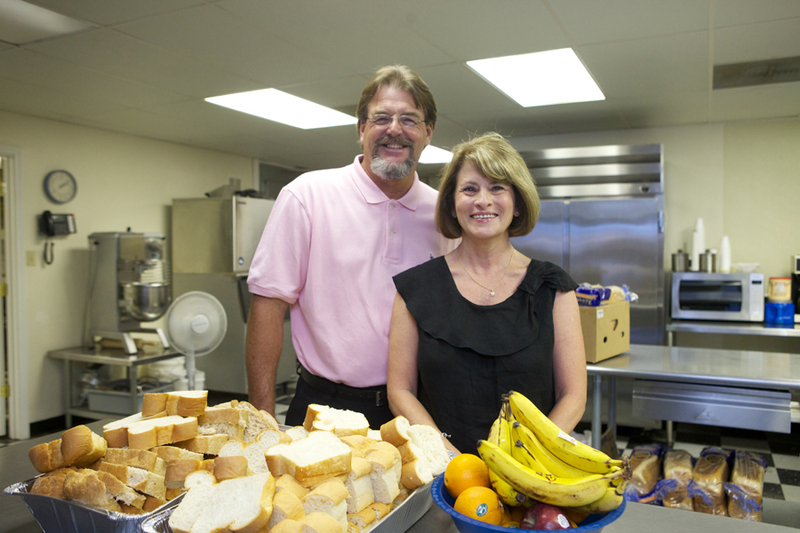 Holly Hays, Ray Thomason and their families support Love and Care Ministries. Love and Care Ministries began as a vision that God placed in the hearts of two men who were called to minister to the homeless of their community. God led these men to the streets, under bridges and in abandoned buildings in the city where they would find people in desperate need of unconditional love and care. With the mighty armor of prayer and twenty large cups of hot soup in hand, they hit the streets that first Sunday in January of 1995 from the back of a pick-up truck. But ministering to the homeless turned out to be only one part of God’s plan for this ministry. After a few months on the streets handing out sack lunches and ministering to the homeless God began to show these two men that there was a huge need to help the poor in their community as well. Through the provision of God and His people these men were able to provide food, clothing, dental care and spiritual guidance for the homeless and poor of Abilene.